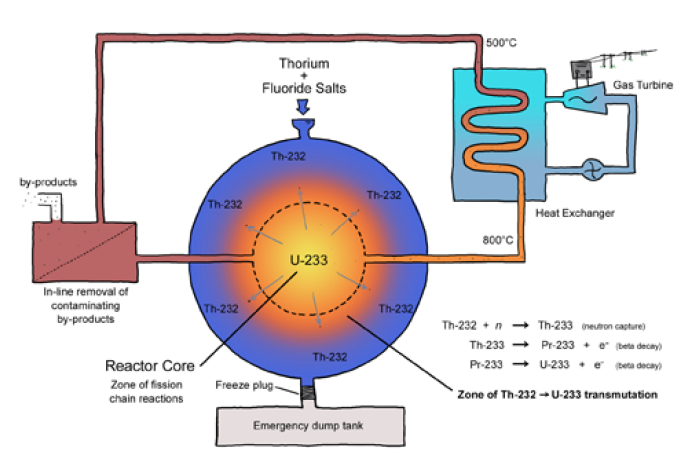 The heat emitted from the nuclear fission of a U-235 enriched sample of uranium is hot enough to boil water. The steam from this water can be used to turn a turbine to generate electricity. The basic design of an electricity producing nuclear power plant is described. Duration: 4:51. Energy from nuclear fission is beneficial in that it produces few air pollutants. Nuclear fission reactions, however, do generate significant amounts of radioactive wastes. The nature of these radioactive wastes are discussed. Duration: 3:31. Click on the following graphic to learn about the more recent "Thorium Reactors"